Bordered by Tennessee in southwestern Kentucky, Christian County is the second largest county in the state in the “Pennyrile,” or Pennyroyal, Region. This region is home to a strong agricultural economy, which it is widely known for throughout the state. As a community steeped in rich culture and history, Christian County has charm at every corner. The county seat Hopkinsville boasts the perfect blend of small-town living and big-city amenities. According to City-Data, about 74,250 people call Christian County home. 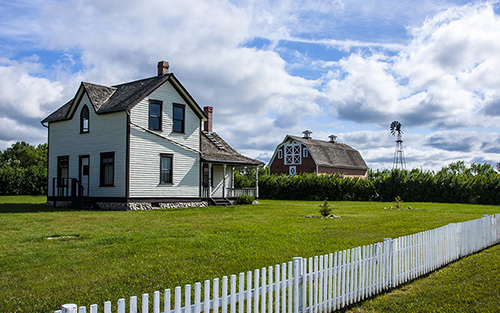 While the majority of the community is urban with amenities close at hand, a large chunk is still very rural making for an ideal combination of the two contrasting lifestyles. From the vast open spaces, that are ideal for outdoor recreation, to the miles of history found in downtown Hopkinsville, residents of all ages and backgrounds will find something to appreciate here. Conveniently located in the heart of the country, Christian County is in a prime location for businesses. Just off Interstate 24, the county is within a day’s drive of many of the major metropolitan areas in the nation. The top industries in the county, from most prominent are educational services and healthcare, manufacturing, retail trade, social services, public administration and arts, entertainment and recreation. Christian County and Hopkinsville experience a mild climate year round with four seasons so residents can experience the best of every time of the year. According to Area vibes, the community of Hopkinsville is considered very livable with a score of 73 out of 100 for its low cost of living, local amenities and stunning weather. The cost of living here is 5 percent lower than the state’s average and a whopping 15 percent lower than the nation’s average. One of the biggest pluses here is that the average commute time is an incredible 26 percent shorter than the state’s average at 17 minutes, meaning residents of the area get to spend more of their time with family members and friends. The economy and housing market continue to prosper in Christian County. Industrial growth is booming and retail development is slowly beginning to ramp up, offering residents more in terms of employment opportunities and amenities. The community also has a strong connection to the 101st Airborne Division and others at Fort Campbell nearby. Despite being a somewhat small community, there is plenty to do in Christian County. The Downtown Renaissance District is a great place for residents to spend an afternoon exploring local museums, the Downtown River walk, one of the many public parks or the locally owned specialty shops and restaurants. The Alhambra Theatre is host to a number of shows and performances offering some of the best entertainment in the region. Christian County is just about a 30-minute drive to the incomparable Land between the Lakes natural reserve, but residents don’t have to leave the county lines to experience some exquisite natural settings. The Hopkinsville Greenway System and rail trail offers residents a scenic place to go running, biking or walking and this system will continue to see improvements over the coming years.